Keeping your boat safe is a top priority for most owners, and nothing works better than a marine railway or roller ramp system to get your boat right out of the water and on to dry land. Marine Railway systems are designed to support boats up to 6000lbs, while much smaller craft are generally suited for a more simple roller ramp system. Feeling a little bit handy and want to build your own? 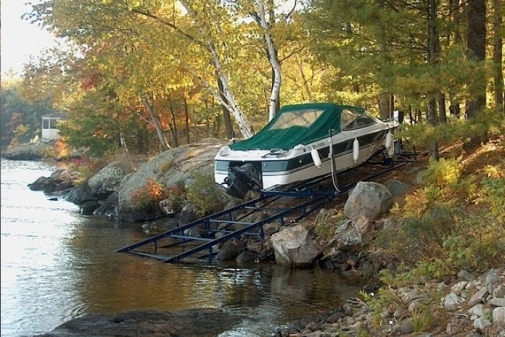 Click to view our Boat Roller Ramp products. View Pricing for Marine Railways. View Marine Railway Pictures in our gallery.